Be The Few: I will gladly give the Holy Spirit to those who will ask. The Holy Spirit is the Spirit of both God the Father and God the Son. In Matthew 10:20, Jesus tells His disciples that when they are dragged before the courts, it will not be them speaking, but the Spirit of their Father. In Galatians 4:6, the Apostle Paul says that God has given us the Spirit of His Son whereby we cry Abba Father! The Holy Spirit is the very essence of God's heart and in this promise, Jesus declares that His Father loves to give the Holy Spirit to those who ask! Since God's Spirit is the very core of who He is, He is giving us everything that He has when He pours out His Spirit on us! In Ephesians 5:18, the Apostle Paul instructs us not to be drunk on wine, but be continually filled with the Spirit! The context of this verse is that being filled with the Spirit is not a one time event but is ongoing. We are called to continually be filled to overflow with God's Holy Spirit. So my encouragement to you today is to simply ask God for a fresh infilling of His precious Spirit! Jesus says that He is a good Father and He delights to give us His Spirit when we ask. 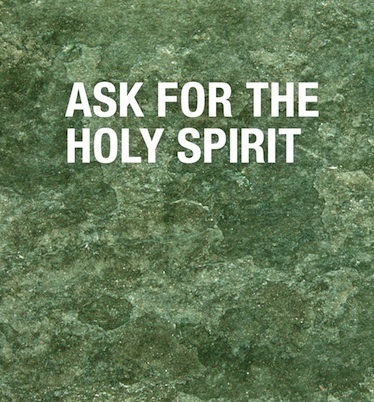 So Father, we ask for MORE of your Holy Spirit today! Would you fill us afresh, would you pour out more of your love into our hearts through your precious Holy Spirit today (Romans 5:5). We open our hearts to you and we expect to receive because we are your kids and you delight to give us good gifts. In Jesus name we pray, Amen.